This TrapStik® catches paper wasps, mud daubers and carpenter bees. Redesigned to include bird guards and spikes on the top and bottom caps, the trap keeps wildlife safe while continuing to catch the target insects. 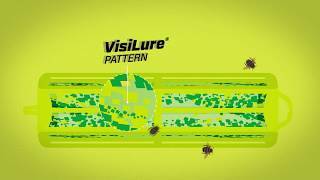 The TrapStik® for Wasps, Mud Daubers & Carpenter Bees uses our exclusive VisiLure® technology to lure the target insects with appealing colors and a multi-dimensional pattern. Insects are attracted by the colors and patterns on the TrapStik®, then get stuck on the adhesive surface. Wasps, mud daubers and carpenter bees get caught on the sticky surface. Once stuck, they expire on their own. Hang TrapStik® for Wasps outdoors, from the eaves of your home or wherever you see evidence of wasp, mud dauber or carpenter bee activity. For best results, hang TrapStik® from man-made structures where these insects nest or bore holes, such as an eave, awning, pergola, garage or shed. 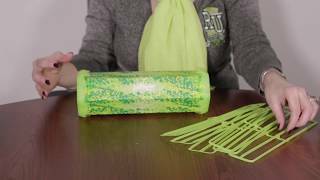 Avoid hanging TrapStik® where birds or other wildlife activity happens, and where children or pets may come in contact with the adhesive. 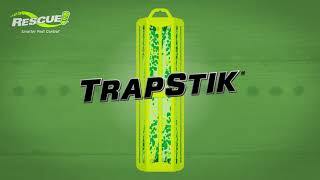 TrapStik® can also be placed next to an insect nest to deplete the population. The best wasp trap I have ever used!!! I have tried a number of wasp traps. None work as great as this one! Hang it up and it draws in the Wasps. Leave it until it is filled with those pesty Wasps and then replace. I go through three traps from March to September on average. What I really like it does not bother the honey bees at all... I highly recommend this product from Rescue. I am so elated to see these back on the market! We use them in our backyard chicken coop for flies and wasps and to handle the wasps that haunt our beehive. Thank you for a wonderful chicken and bee safe product. Will put out every spring! They work! We put them out in the spring, as our friends mentioned that the goal was to get the "scouts". We put one on our front porch and two hanging under our deck. We left them up all summer. Was impressed that they only attracted wasps and carpenter bees. Not a single pollinator. The design has changed a bit to include a bird protector, which is a good idea, even though we never had a bird get caught in one... Won't go a summer without them! As a polar vortex grips the Midwest, we look to America's foremost weather prognosticator to bring us hope of warmer temperatures.